We welcome product reviews for aviation items for your Commander. Vendors may also be reviewed (paint shops, engine overhaul shops, etc.). Don't forget to include simple items that we all purchase such as CO2 detectors, tires, etc. 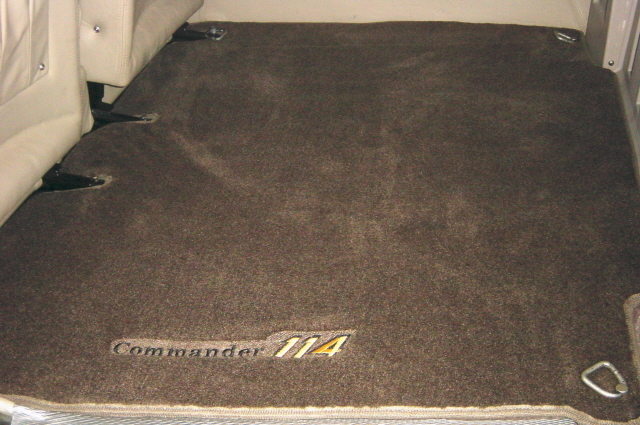 The Commander Owners Group reserves the right to accept or reject any submissions for any reasons. All submissions become the property of the Commander Owners Group. 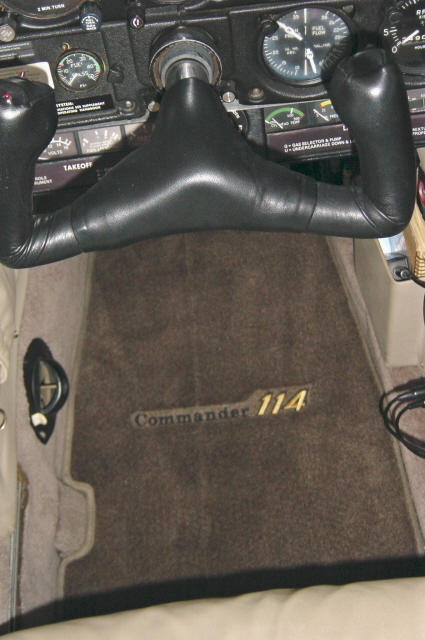 I found a great vendor who makes custom floor mats...http://www.qualitycarmats.com. They now have on file the templates for the front and cargo area for our plane. I assume there is no difference over the model lines, but can't be certain. The "Commander" font is called Century Schoolbook. I had them digitize the "114"
as shown in the attached photos. It is true to what was used by Commander, at least in 1977. The service by them was fantastic! The toll free number listed on the site will connect you with Terry who makes sure you get what you want. Quality and workmanship is tops. Ironically, the factory is in Mo. I started using the simple green (bought in Lowes) and then the Xtreme for about a year and a half. Takes that exhaust residue off very quickly after only a very, very short spray/wait time before wiping off with a clean cloth. I have wiped Taz off and it does nothing to the paint. It remains bright and shines. Cuts oil/grease off with no trouble and in short order. Leaves everything slick as can be and shiny. Best thing I have found. 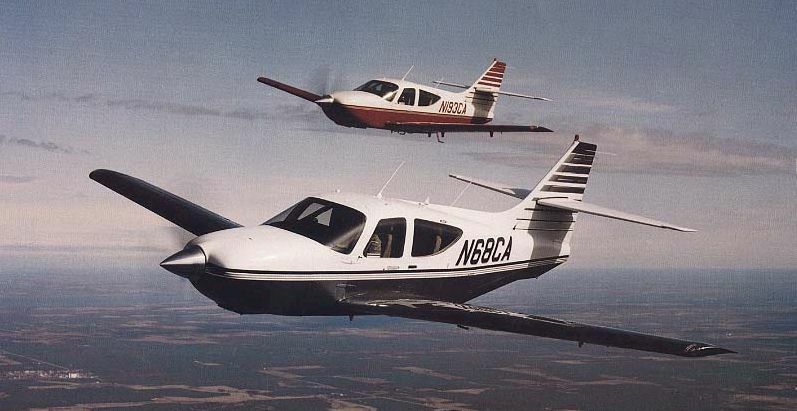 Copyright © 2003 Commander Owners Group. All rights reserved.